Our compression gaskets work well on refrigerators from the '40s and '50s. 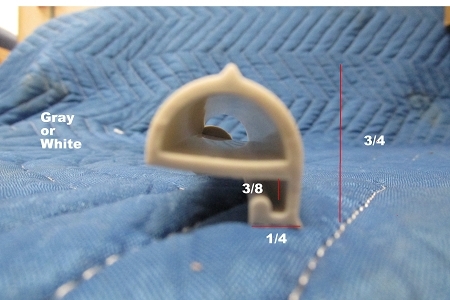 Most of these gaskets have a basic "e" shape; the top, or "bubble", portion making the seal when the door closes and the bottom, or "lip", slipping beneath the interior door liner. In most cases a series of screws or clips inserted under the bubble portion hold the gasket in place. "Buyer's Tip" - The P10582 is one of our most versatile gaskets. Its soft construction makes it easy to work with, and its size fits a wide range of manufacturers and models.